The 2019 Lok Sabha elections are nearly upon us, and the campaigning is also exactly what you’d expect in the tech-savvy, connected world of 2019. 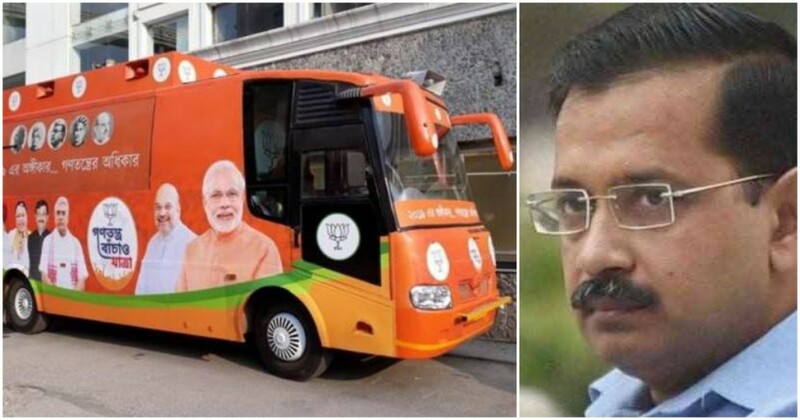 The BJP has said it will run raths in New Delhi as a part of its election campaign. Now raths aren’t new in electioneering — they were widely used by major Indian parties in 2014. But these raths being run by the BJP are Digital Raths. They will have Wifi hotspots, through which citizens around them can access the internet for free. The kicker? The password for the Wifi is Kejriwal didn’t provide Wifi. In 2015, Delhi Chief Minister Arvind Kejriwal had promised to provide all of Delhi with free Wifi if he were voted to power. Kejriwal’s Aam Aadmi Party had won a resounding majority in the elections, winning 67 out of 70 seats, but had failed to live up to its promise. AAP leaders has since blamed bureaucrats for the stalling of the WiFi plan, and claimed that the proposal had been shelved because of chronic staff shortages and the PWD’s “limited knowledge” of the broadband technology. Regardless, the BJP has been quick to pounce on the misstep with its Digital Raths. “People can use this free-of-cost internet service to circulate information about PM Modi through Facebook, Twitter and Instagram,” Neelkanth Bakshi, officer in-charge, Delhi BJP — IT and Social Media Cell, told India Today TV.”At once, approximately 200 people will be able to use the WiFi. The Digital Rath will be on roads wef April 1,” he added. And each time users enter the password, they’ll be reminded of Kejriwal’s unfinished promise. Technology and social media are already a big part of the Indian elections. While all the main parties all have social media teams that pump the internet with memes and articles that further their own agenda, the BJP seems to have gone ahead and put some technology out in the real world as well. It remains to be seen if the idea will win the party votes on polling day, but for now, this does seem to be a pretty creative way to highlight the inadequacies of the current Delhi government.